Recruit, What You Waiting For? 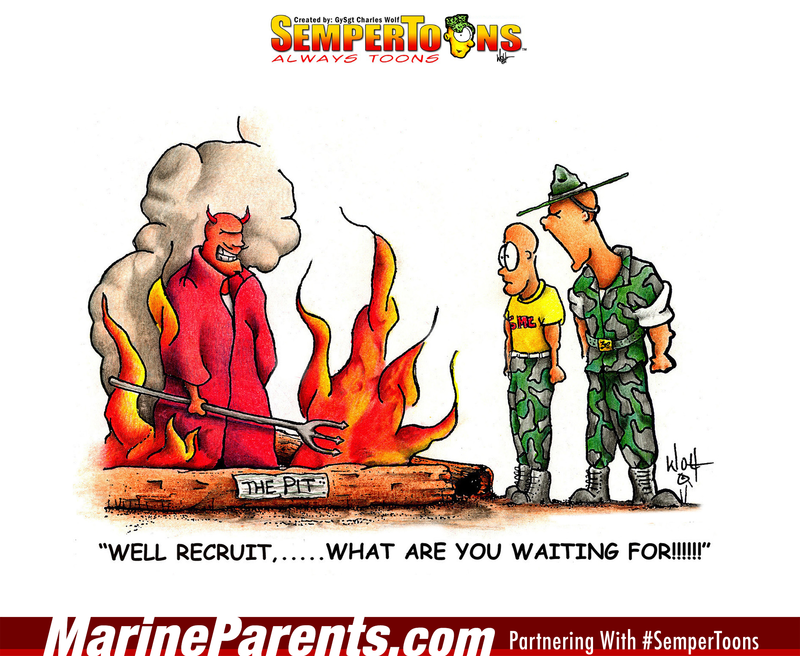 Gunny Wolf from SemperToons has created this cartoon that features a DI yelling at a recruit to go in "the pit" where the Devil is. Shop Recruit, What You Waiting For? SemperToons at the EGA Shop.